Ever since Clifford and Marcus (1986), anthropologists have been aware of the political implications of their craft; and these concerns have reverberated through Taiwan Studies (Shih, Thompson, and Tremlett 2008). Writing about indigenous peoples has potentially important political repercussions, as Clifford recognized in writing about the issue of Mashpee identity in the United States. Ku Kun-hui (2005) documented the early political demands of Taiwan’s indigenous rights movement, especially the right to be referred to as “aboriginal peoples” or “indigenous peoples” rather than as “mountain compatriots.” Indigenous leaders also demanded creation of the Council of Indigenous Peoples, refusing to be subordinated in a Mongolian and Tibetan Affairs Commission reorganized into a Minority Commission. This is a crucial issue from a legal viewpoint. Due to their colonial situation, indigenous peoples have inherent rights, especially to land and sovereignty, that are not shared by ethnic minorities. There have been emotionally-laden debates about whether the terms “Aboriginal” and “Indigenous” should be capitalized. This is a non-issue in Chinese, as characters (原住民族) have no letters to capitalize. In English The general argument for capitalization is that “Aboriginal” and “Indigenous” are the names of ethnic groups and should be capitalized, as are “English” and “French.” Mohawk political philosopher Taiaiake Alfred, however, questions such assumptions, even arguing that the word “Aboriginal” is a form of assimilation to colonial power. He prefers to use the names of the peoples themselves, which in his case would be Onkwehonwe (Alfred 2009: 23). Taiwan, with over half a million indigenous people (more than 2% of the total population), is a fascinating non-western case of indigeneity. Like Canada, the state-indigenous relationship lies at the crux of the issue, as indigenous peoples live in an ongoing colonial situation. Ku (2005) argues that indigenous political leaders were able to capitalize upon the desire of some politicians to affirm a non-Chinese identity for their country, hence gaining visibility and power for indigenous peoples. For her part, Yang Shu-yuan (2005) shows how the Bunun interact with the state, exercising sovereignty by cultivating a reputation of docility and cooperativeness. An exploration of state-indigenous relations shows that words like “aboriginal” and “indigenous” are state-centric categories used in the control of populations. These words – unlike Mashpee, Onkwehonwe, or Bunun – subordinate people with their own identities and histories to the logic of governmentality. If one recognizes that these words are state categories like “citizen” (which in Canada includes French, English, and Onkwehonwe) or “immigrant” (which may include French, English, Chinese, etc. ), it is difficult to justify capitalizing them. If anything, the practices of capitalizing reifies state categories. Making it appear as if Indigenous is an ethnic group like the English and the French may appear to promote equality, but it renders invisible the inherent rights of indigenous peoples, who best assert effective sovereignty through space-based identities of Mashpee, Onkwehonwe, Bunun, etc. If anthropology is to contribute to decolonization, it must begin with decolonization of the mind, and that begins with careful writing. Alfred, Taiaiake. 2009. Wasáse: Indigenous Pathways of Action and Freedom. Toronto: University of Toronto Press. Clifford, James. 1988. “Identity in Mashpee,” pp. 277-346 in The Predicament of Culture: Twentieth-Century Ethnography, Literature, and Art. Cambridge, MA: Harvard University Press. Clifford, James and George E. Marcus (eds). 1986. Writing Culture: the Poetics and Politics of Ethnography. Berkeley: University of California Press. Ku, Kun-hui. 2005. “Rights to Recognition: Minority/Indigenous Politics in the Emerging Taiwanese Nationalism.” Social Analysis 49 (2): 99-121. Shih, Fang-long, Stuart Thompson, and Paul Tremlett (eds.). 2008. 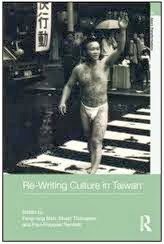 Re-writing Culture in Taiwan. London: Routledge. Yang, Shu-Yuan. 2005. “Imagining the State: an Ethnographic Study.” Ethnography 6 (4): 487-516.